You're invited to join us in Appin for our Free Auction Family Fun Day! 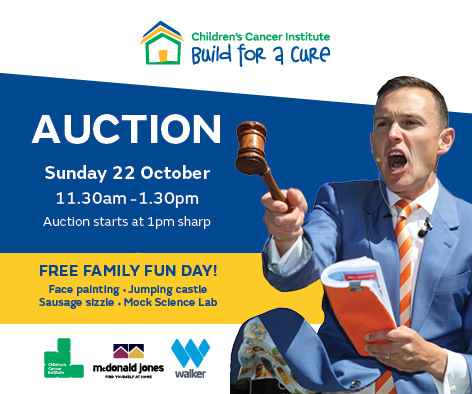 This is your chance to see the Build for a Cure house, as well as take part in all of the festivities as Damien Cooley from The Block auctions off the "House Built with Love". There will be free food and entertainment - including a jumping castle, face-painting and of course a mock science lab so everyone can get involved. Details below. Please contact buildforacure@ccia.org.au for more information. Are you or someone you know interested in buying the Build for a Cure house? Find everything you need to know here.